Edgewater is a lakefront community area on the North Side of the city of Chicago, Illinois seven miles north of the Loop. 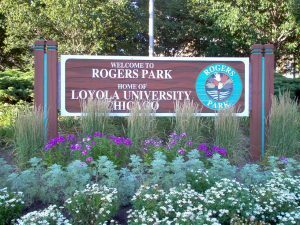 As one of the city’s 77 official community areas, Edgewater is bounded by Foster Avenue on the south, Devon Avenue on the north, Ravenswood Avenue on the west, and Lake Michigan on the east. Edgewater contains several beaches that residents enjoy during the late spring, summer, and early autumn. Chicago’s largest park, Lincoln Park, stretches south from Edgewater for seven miles along the waterfront, almost to downtown. Historically, Edgewater was the northeastern corner of Lake View Township, an independent suburb annexed by the city of Chicago in 1889. Today, the Uptown community is to Edgewater’s south, Lincoln Square to its west, West Ridge to its northwest and Rogers Park to its north. It is highly recommended that you get a complete professional home inspection done on any home that you purchase in Edgewater. The unique architecture and ornate Victorian homes may have surprises or complications that an experienced home inspector can identify in their home inspection report. We have inspected many homes in Edgewater community, and have many years of experience with the homes in the neighborhood! Call us today to schedule an Edgewater home inspection. Developers began buying up orchards and truck farms, and cutting down the dense woods in the Lake View Township (of which Edgewater was a part) in the 1880s to make way for future development. From 1870 to 1887 the population of the township, then north of the City of Chicago, grew from 2,000 citizens to 45,000. As a result, there was growing need of more public-service access, and Lake View was annexed to Chicago in 1889 as a way of meeting those demands. In 1885, the northeastern section of Lake View was given the name Edgewater by prominent developer John Lewis Cochran. He built the first residential subdivision in the area. Many of his homes can still be found in the Lakewood Balmoral Historic District. After a few years, Edgewater was celebrated as a wonder as it became “the only electric lighted suburb adjacent to Chicago”. Ardmore Avenue, located in Ardmore, PA.
Thorndale Avenue, located in Thorndale, PA, also became a CTA station. Bryn Mawr Avenue, located in Bryn Mawr, PA, also became a CTA station. Berwyn Avenue, located in Berwyn, PA, also became a CTA station. Chicagoland Home Inspectors Inc. provides home inspection services in the Edgewater community, and have many years of experience with the homes in the neighborhood! We offer sellers pre-listing inspection check on Edgewater homes with a detailed report of needed repairs before the property is put on the market. The Edgewater home inspection offers detailed reports, if the property is a REHAB HOME. If you’re buying a home in the Edgewater area, get it tested for radon. Radon gas is the number one cause of lung cancer among non-smokers, and the second leading cause of cancer in America. by Patrick D on Chicagoland Home Inspectors Inc. Very good company. They were very accommodating. Roger our inspector was very helpful with any questions we had. Thank you for the nice review. I am glad we were able to get this scheduled. I hope this home will be safe and enjoyable for you and your family. by Maria F on Chicagoland Home Inspectors Inc.
We were very please with Charlie. Answer all our questions. and gave us information we didn't know. I would use him again with no questions. Your husband was very knowledgable about building sciences. The conversation was fantastic and I am glad I was able to help. by Jo-Elle M on Chicagoland Home Inspectors Inc. I highly recommend Charlie Bellefontaine of Chicagoland Home Inspectors. He is extremely thorough, knowledgeable, friendly, and patient. As a first-time home buyer, I felt very confident in the services he provided. Using state-of-the-art tools (including a drone to survey the roof when the condo building didn't offer access to the roof for a closer look), he turned around the inspection report in very short order. In addition, he offered insight on what I should be looking for in the things he was contracted to inspect and on things I should ask the HOA about (e.g. dryer duct cleaning schedule). The online option to sign the engagement agreement and pay online was also very convenient. Again, I highly recommend Charlie's services. This is so kind of you. Thank you and it was my pleasure to work for you. by Kayla A on Chicagoland Home Inspectors Inc. I have great experience with the team. They made the detailed report and provided the warranty as well. Highly recommended. Thank you. For the review. Our best wishes for you and your family. by Steven L on Chicagoland Home Inspectors Inc.
Mark was great, very professional and helped me understand all the safety hazards going on. First time home buyer, but treated me with nothing but respect. Explained in detail everything i needed to know. I literally felt a lot smarter and learned a lot more just by following him around! Thank you Mark! Thank you for the kind words about Mark. He is passionate and dedicated to this profession. Our best wishes to you and your family. by Lailyn G on Chicagoland Home Inspectors Inc.
Mark thank you for the inspection for the house I'm buying. You give me peace of mind and I can negotiate with the seller and where I can stand. Thank you and blessed you and your company. by Ian M on Chicagoland Home Inspectors Inc.
Mark performed the inspection on my new condo and he was incredibly quick and thorough! Arranging the appointment through Charlie was also very easy and hassle free. I highly recommend this company to those in the process of purchasing a home. Mark is a fantastic inspector. He has a great passion for this profession. I am glad we were a part of your new home. Our best wishes to you and your family. by Mike H on Chicagoland Home Inspectors Inc.
Would of never expected these inspectors to be so good and thoughtful about what they do. We have an inheritance property in Chicago from my deceased grandparents and haven't really done anything with it until the last year. We hired Charlie to do a home inspection. He was completely honest and up front about everything. His inspection was so helpful and let's me know the next step I want to take regarding this property! I love the Edgewater community and it was a pleasure to work for you. Thank you for the kind words. by Craig R on Chicagoland Home Inspectors Inc. Very professional and thorough. I got to the house a few minutes after our scheduled time and noticed the inspectors already hard at work. This was my second time buying a home and having it inspected. What really surprised me was the first time I thought I had a good inspector but that was till I found these guys. They had a ton of equipment taking readings from the furnace and a/c. They walked me through all their findings and photographed all discrepancies. I would absolutley recommend these gentlemen to anyone! Thank you Craig. The estate you purchased is beautiful. Our best wishes to you and your family.